As technology changes, it is important to know the most up to date approaches and how to get the best patient outcomes. 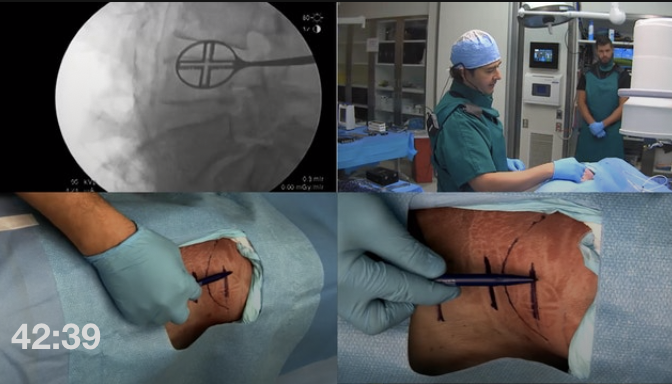 The lateral approach is a new technique, and with its popularization comes the need for instructional courses for both practicing and training surgeons. The featured course faculty have an immense amount of experience and focused on the lateral approach and the ways it has changed throughout the years. Those familiar with lateral interbody fusion can expand the role of the lateral approach from just fusions to corpectomy and reconstructions. Attendees were able to practice the techniques during a hands-on cadaver lab, making it accessible for those who are trying out the technique for the first time. This focused course boasted live demonstrations, lectures, and discourse with experienced surgeons specializing in the lateral approach. "The wealth of experience that the featured faculty have with lateral spine surgery," says spine surgeon, Dr. Amir Abdul-Jabbar, "bringing that all together is just incredible." Faculty such as Dr. Juan Uribe, co-chair, chief of the division of spinal disorders, Volker Sonntag chair of spine research, and vice chairman of neurosurgery at Barrow Neurological Institute; Dr. Rod J. Oskouian Jr., chief of spine at Swedish Neuroscience Institute, and President and CEO of the Seattle Science Foundation; Dr. Richard A. Hynes, president, The B.A.C.K. Center; presented at this year’s course among many other leaders in the treatment of spinal conditions. 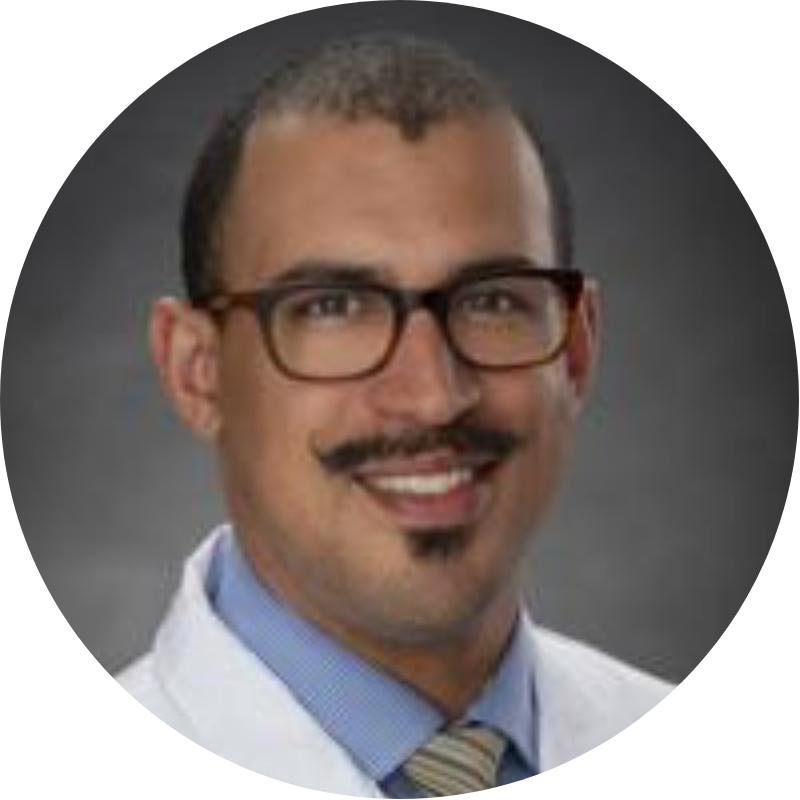 Dr. Amir Abdul-Jabbar is an orthopedic spine surgeon at Swedish Neuroscience Institute and the course co-chair and featured speaker at the 5thAnnual Advanced Lateral Approaches to the Spine. He presented on "The Role of the Anterior Column Reconstruction in Spine Surgery." Now a co-chair for the Advanced Lateral Approaches to the Spine course, Dr. Abdul-Jabbar attended the 2016 ONE Spine course as a resident at LSU Medical Center. As his first introduction to the courses at Seattle Science Foundation he was impressed by "how focused and specific [the course was] for people interested in becoming spine surgeons, and also valuable for people who have done surgery and want to be up to date on the most relevant literature and techniques." SSF hosts 14 courses annually, and Dr. Abdul-Jabbar both attends and speaks at the conferences because of what they offer to current and training surgeons, and because of the focus on improving patient care. "We are better trained and better prepared for the most challenging cases," said Dr. Abdul-Jabbar, "it is incredibly rare to have a facility that offers both courses geared toward early learners and people looking for specific and in-depth teaching on advanced spine and neurosurgical topics." With the goal of improving patient care, Dr. Abdul-Jabbar's talk was not to be missed—discussing the importance of the anterior column spinal alignment in spine surgery, Dr. Abdul-Jabbar emphasized the anterior spinal column as the "basis of the structure of the spine and [that] by recreating the anterior column in cases where it has been compromised, it sets the foundation for appropriate anatomic reconstruction and appropriate balance and is correlated with the best patient outcomes." Visit us online at www.seattlesciencefoundation.tv to view all of the recorded presentations and surgical demonstrations. Centering around the future of spine surgery, this symposium was created to focus on the application and hands-on implementation of the lateral approach to spine surgery. Now on its 5thyear, the Advanced Lateral Approaches to the Spine course hosts leading neuro and orthopedic surgeons to lecture, provide live demonstrations, and engage in discourse with current and training physicians who specialize in the surgical care of patients with spinal conditions in order to improve patient care and outcomes. Hosted at the Seattle Science Foundation, this educational course made use of the state-of-art bioskills lab and conference facility with views of Mt. Rainier and the Cascade Mountain Range. This course is made possible by the Seattle Science Foundation and Swedish Medical Center. The 5th Annual Advanced Lateral Approaches to the Spine was planned and implemented in accordance with the accreditation requirements and policies of the Accreditation Council for Continuing Medical Education (ACCME) through the joint providership of Swedish Medical Center and the Seattle Science Foundation. Swedish Medical Center is accredited by the ACCME to provide continuing medical education for physicians. AMA PRA Category 1 Credits(TM). Swedish Medical Center designates this live activity for a maximum of 10.5 AMA PRA Category 1 Credits(TM).Physicians should claim only the credit commensurate with the extent of their participation in the activity. Juan Uribe, MD, FAANS, course co-chair, is a chief of the division of spinal disorders, Volker Sonntag chair of spine research, and vice chairman of neurosurgery at Barrow Neurological Institute. He is board certified by the American Board of Neurological Surgery. Dr. Uribe’s expertise includes the surgical treatment of scoliosis, spinal trauma, and spinal tumors, particularly with minimally invasive techniques. He is a member of the American Association of Neurological Surgeons, Congress of Neurological Surgeons, North American Spine Society, Society for Minimally Invasive Spine Surgery, Society of Lateral Access Surgery, and Scoliosis Research Society. Amir Abdul-Jabbar, MD, course co-chair, is an Orthopedic spine surgeon at Swedish Neuroscience Institute. He seeks to provide individualized care to each of his patients and works to integrate their personal, physical, and medical backgrounds to help patients achieve their health-care goals. Dr. Abdul-Jabbar is a member of the North American Spine Society and AO Spine. Jens R. Chapman, MD, is a world renowned complex spine orthopaedic surgeon at Swedish Neuroscience Institute. He has practiced for approximately 25 years in the Seattle area, where much of his time was spent practicing at Harborview Medical Center. He completed medical school at University of Munich in Germany and did his residency in orthopedic surgery at University of Texas Health Science Center, Dallas, TX. Bim Makinde, MD is a Sports Medicine physician specializing in the diagnosis, treatment, and rehabilitation of musculoskeletal problems and injuries in patients of all ages. He has specialized training in MSK ultrasound and utilizes this for both diagnostic and minimally invasive therapies. In addition, he has an interest in medical conditions pertaining to patients with active lifestyles and who participate in recreational and competitive sports. He also treats work injuries, personal injuries, and motor vehicle injuries. This year’s 4th Annual Innovative Approaches to Brain Tumor Management was targeted towards healthcare providers who manage and treat patients with brain tumors. Leading experts in the field came together to discuss the future of brain tumor management including the progress in personalized medicine and implications of immunotherapy in specializing treatment. This course was designed to focus on the future of brain tumor therapy with the goal of improving treatment response rates, outcomes, and overall patient care. Charles Cobbs, MD, course co-chair, is director of the Ben & Catherine Ivy Center at Swedish Neuroscience Institute in Seattle, Washington. 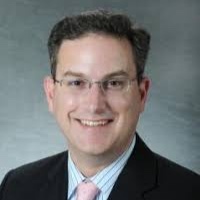 Zachary N. Litvack, MD, course co-chair, is director of the Skull Base & Minimally Invasive Neurosurgery program at Swedish Neuroscience Institute in Seattle, Washington. Seattle Science Foundation is hitting the road and covering medical education courses from around the country to bring you the latest advances in medicine. Special thank you to the Pacific Rim Neuroscience Master Class course directors who include PNI neurosurgeons Drs. Daniel Kelly and Garni Barkhoudarian and Ohio State colleagues Drs. Daniel Prevedello (neurosurgeon) and Ricardo Carrau (ENT). Performing safe and effective surgery for patients with brain tumors, tumors of the skull base and pituitary tumors requires a dedicated and experienced team of specialists. Over the last two decades, minimally invasive approaches to reach these often difficult-to-access tumors have flourished largely due to advances in neuro-anatomical understanding as well as refinements in instrumentation including the high-definition endoscope, ultrasound and surgical navigation. As a result of such progress, led by a number of national and international centers, the field of keyhole and endoscopic brain tumor surgery is an area for which more and more neurosurgeons, ENTs and neuro-ophthalmologists seek advanced training. Short, intense focused courses such as the one being offered by PNI and OSU allow surgeons to gain further “hands-on” exposure and expertise in the indications and use of these advanced techniques. These meetings ultimately help optimize outcomes and surgical safety for patients with the all types of brain tumors including meningiomas, glioblastomas, pituitary adenomas, schwannomas, craniopharyngiomas, chordomas and metastatic brain tumors. ISB recently hosted “Visions of the Future,” a one-day symposium featuring an impressive lineup of researchers. The event was held in October in honor of Dr. Lee Hood’s 80th birthday. Dr. Hood is a pioneer in the field of biotechnology, is co-founder and chief strategy officer of ISB, and serves as chief science officer and senior vice president of Providence St. Joseph Health. All of the speakers focused their presentations on what research and health care will look like in years to come. Leroy Hood, MD, PhD, currently serves as co-founder and chief strategy officer at Institute for Systems Biology and chief science officer and senior VP at Providence St. Joseph Health. Dr. Hood was involved in the development of six instruments critical for contemporary biology — namely, automated DNA sequencers, DNA synthesizers, protein sequencers, peptide synthesizers, the ink jet printer for constructing DNA arrays and large-scale synthesis of DNA, and the nanostring instrument for the single molecule analysis of RNA (and later DNA). These instruments opened the door to high-throughput biological data and the era of big data in biology and medicine. He helped pioneer the human genome program — making it possible with the automated DNA sequencer. Under Hood’s direction, the Human Genome Center sequenced portions of human chromosomes 14 and 15. In 1992, Dr. Hood created the first cross-disciplinary biology department, Molecular Biotechnology, at the University of Washington. In 2000, he left the UW to co-found Institute for Systems Biology (ISB), the first committed to a systems approach to biology and disease. He has pioneered systems medicine and scientific wellness in the years since ISB’s founding and has argued for health care that is predictive, preventive, personalized and participatory (P4). In 2016, he oversaw ISB’s affiliation with Providence St. Joseph Health (PSJH) with the goal of bringing personalized medicine to every patient. Dr. Hood has made many seminal discoveries in the fields of immunology, neurobiology, cancer biology and biotechnology, and, most recently, has been a leader in the development of systems biology and its applications to cancer and neurodegenerative diseases, as well as pioneering technologies and strategies that bring systems biology to personalized medicine. In addition to his groundbreaking research, Hood has published 750 papers, received 36 patents, 17 honorary degrees and more than 100 awards and honors. He is one of 20 individuals elected to all three National Academies — the National Academy of Science, the National Academy of Engineering, and the National Academy of Medicine. Dr. Hood has founded or co-founded 15 different biotechnology companies including Amgen, Applied Biosystems, Rosetta, Darwin, Integrated Diagnostics, Indi Molecular and Arivale. Hood has also had a life-long interest in K-12 science education and ISB has been a leader in this area.